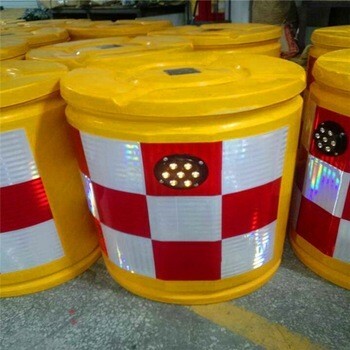 Anti-bump barrel mainly set on highways and city roads where cars prone to collision with the fixed equipment installed in the road. 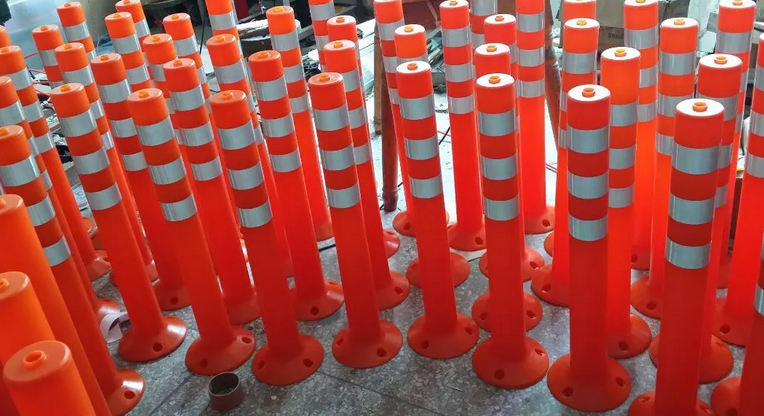 such as: road turnings, path booth, toll stations and the entrance and exit of the elevated road, parking lot, housing estate, gardens and gas stations etc., play a role in warning isolation and anticollision. 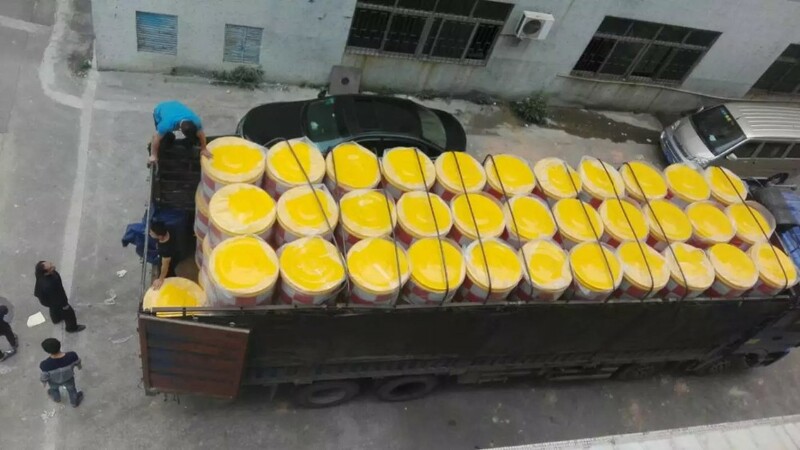 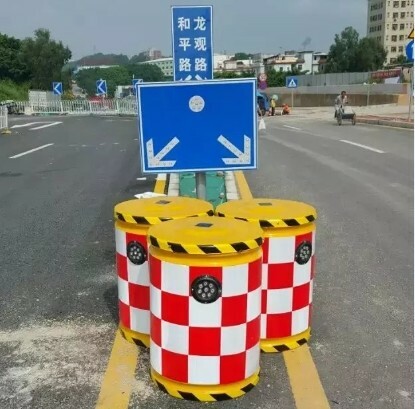 It is made of high elasticity and high-strength fiberglass reinforced plastic material, when cars collide with this device, can effectively reduce the impact, therefore, it can significantly reduce car and people’s damage. 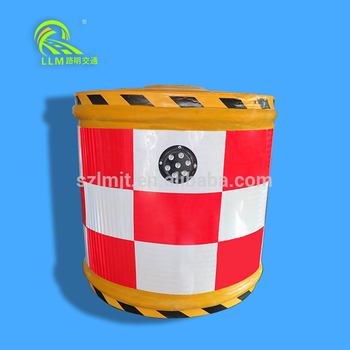 Its surface pasted some reflective film, can also put labels as customized.